hd00:11The beekeeper gets a frame with honeycombs. The beekeeper examines the frame with empty honeycombs. 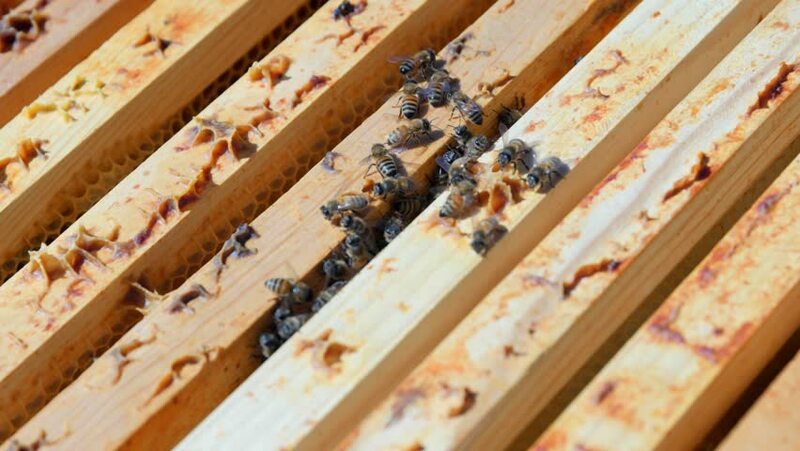 Bees crawl on the frame with combs. The beekeeper with his bare hands is holding a frame with bees. hd00:08CORNVILLE, AZ - APRIL 23: Cowboys with calves in the pen on April 23, 2011 in Cornville, AZ.